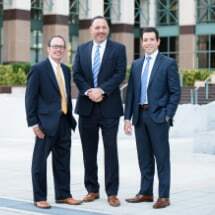 The law offices of Rosenthal, Levy, Simon & Ryles is committed to serving people in West Palm Beach, Florida, who are dealing with matters involving slip-and-fall accidents, car collisions and truck accidents, as well as injuries from defective products, dog bites and drug errors. Our legal team also assists people with back and neck injuries and those who have lost a loved one due to wrongful death or fatal work accidents. Victims of personal injury cases may be unable to work and often feel overwhelmed when faced with extensive medical expenses. They may also be forced to deal with both physical and emotional pain and suffering. The team of attorneys at our law offices is focused on representing clients throughout Okeechobee, Martin, St. Lucie, West Palm Beach and Palm Beach counties. For over 30 years, we have developed a track record of achieving positive outcomes for our clients. With attention to detail, compassion and concern, we assist clients through the potentially complicated legal process. At the law offices of Rosenthal, Levy, Simon & Ryles, our attorneys are members of many prestigious organizations, including Best Lawyers of America, Million Dollar Advocates Forum, Super Lawyers, the Florida Justice Association, the Florida Bar, Workplace Injury Litigation Group, and the Florida Workers’ Advocates. We help our clients make the crucial decisions that affect the rest of their lives.